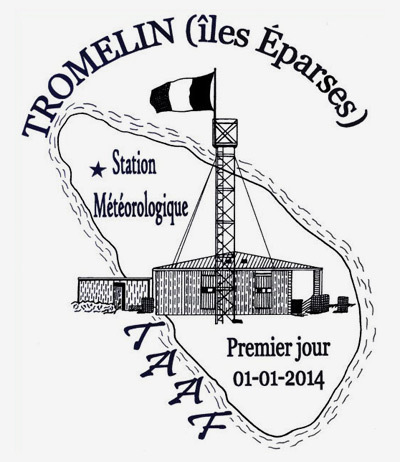 Tromelin is a French island in the Indian Ocean, administered as a French Southern and Antarctic Lands (Terres Australes et Antarctiques Françaises in French aka TAAF). Like the other islands belonging to the « Eparses » Islands in the Indian Ocean (Bassas Da India, Glorioso, Juan de Nova, Europa) Tromelin has been part of the fifth district of the TAAF since 2007. 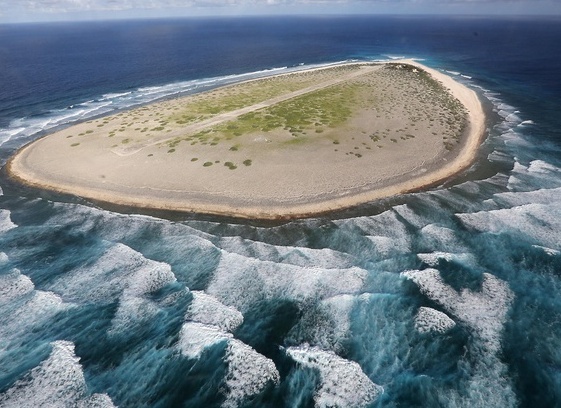 Located 450 km east of Madagascar, the island is the emerged top of a submarine volcano or a raised coral atoll; scientists don’t agree on its origin. Its highest point culminates at 7m ASL. A corral barrier quite dangerous for navigation, making sea access extremely difficult even with good weather, surrounds it. There is no harbor and only anchorage off the island is possible. An airfield that was completed June 20, 1954 and a 1,050m runway made of sand give access to the island. Starting on May 7, 1954, the island has had its own weather station staffed by meteorologists. Wind observations are made with radiotheodolite and are used to detect cyclones in this area of the Indian Ocean. The island is flat and the soil is sandy with numerous corral boulders. Flora is very little developed because of severe climatic conditions and is essentially composed of lush grass and shrubs. Fauna, on the contrary, is very interesting with quite a few seabird and sea turtle colonies. The « Eparses » Islands were classified as nature reserves back in 1975 and have been used as “reference” witnesses for numerous scientific studies.